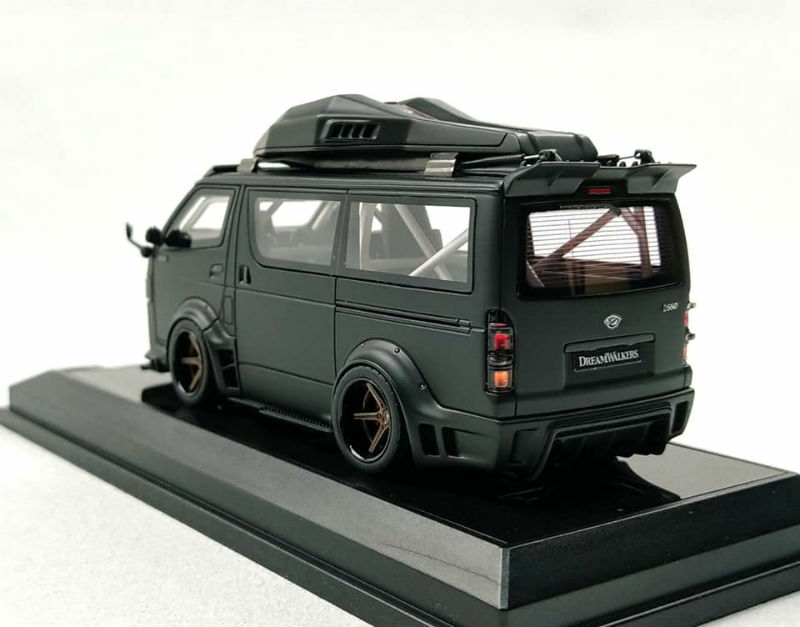 We’ve seen some really unusual stuff over the years, but the latest from DreamPower under the DreamWalkers brand is up there with the best of them. 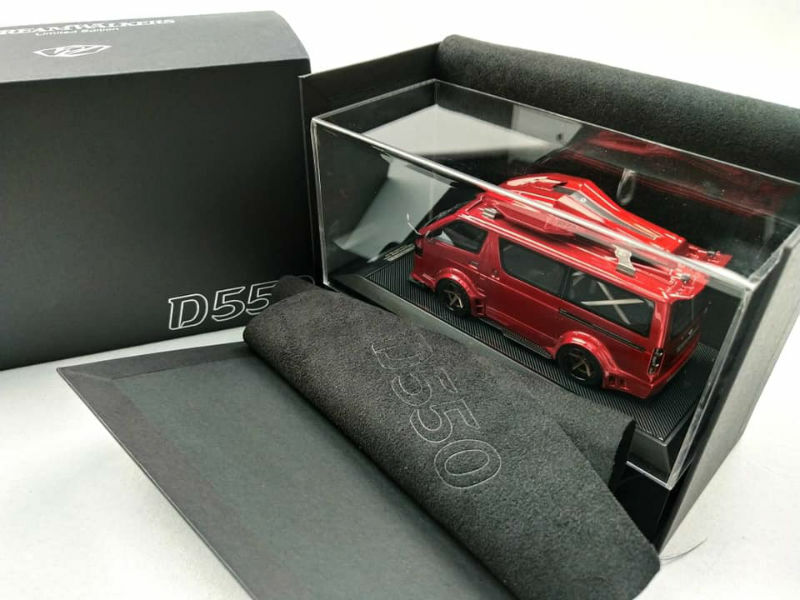 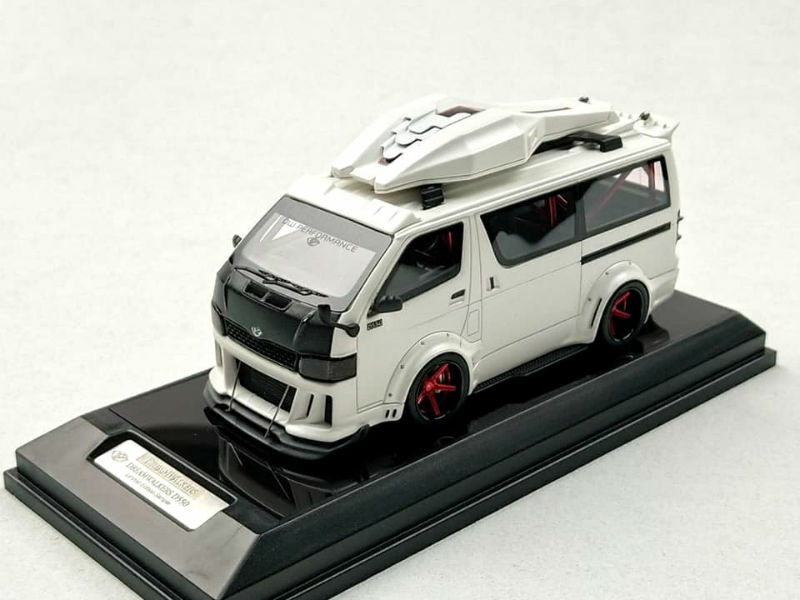 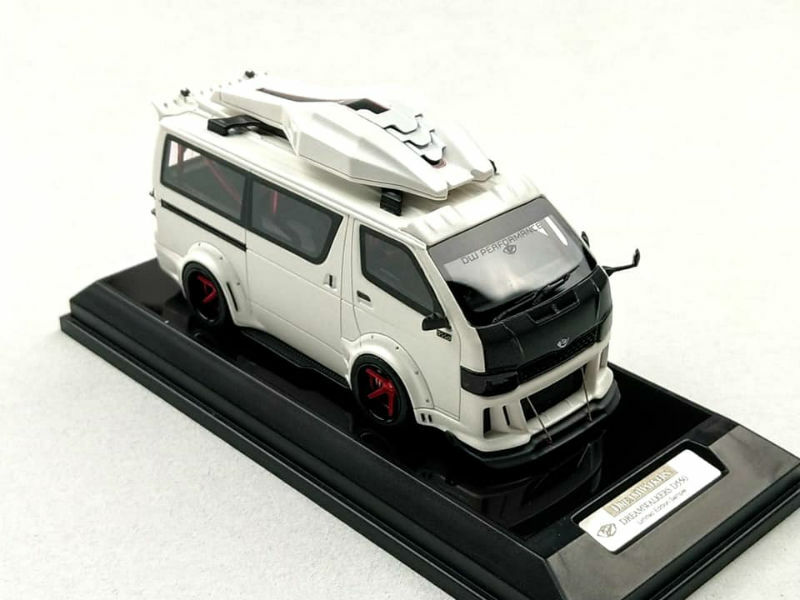 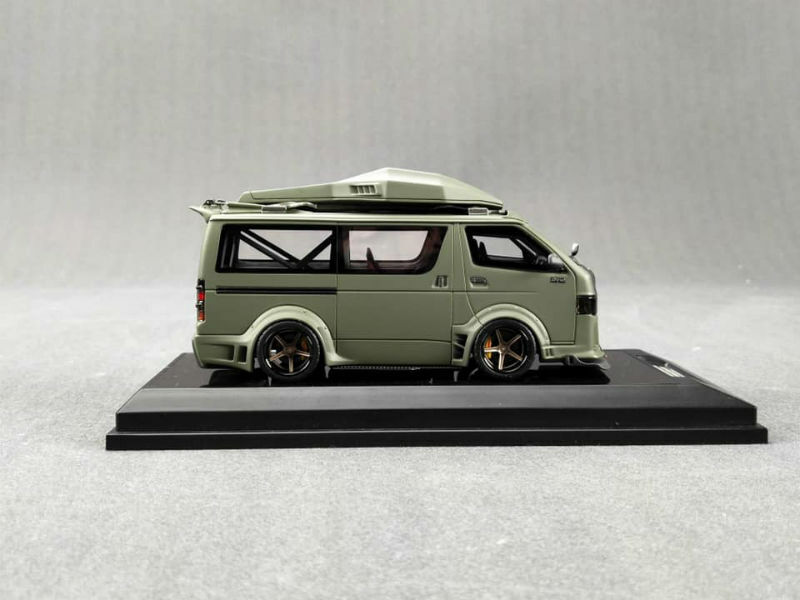 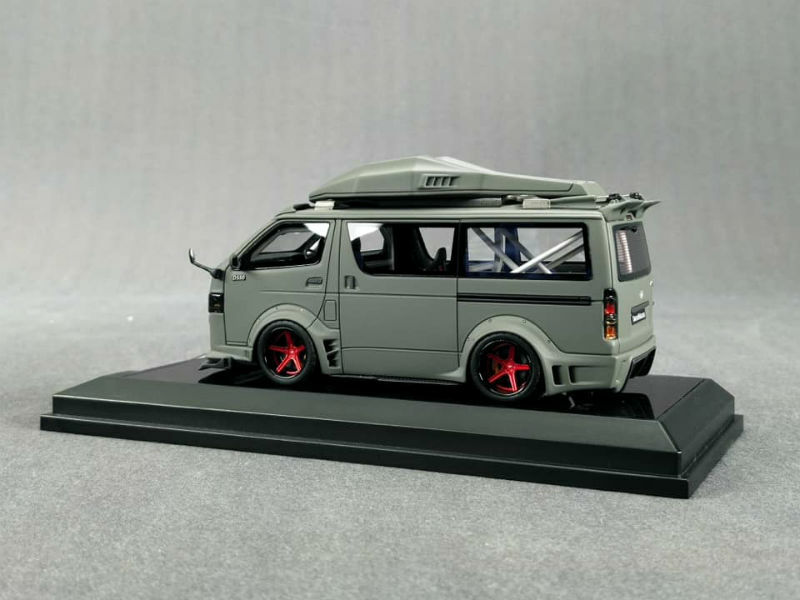 New is the 1:43 scale Hiace D550 Concept Van – we’ve highlighted some of these in 1:18 scale back in 2017. 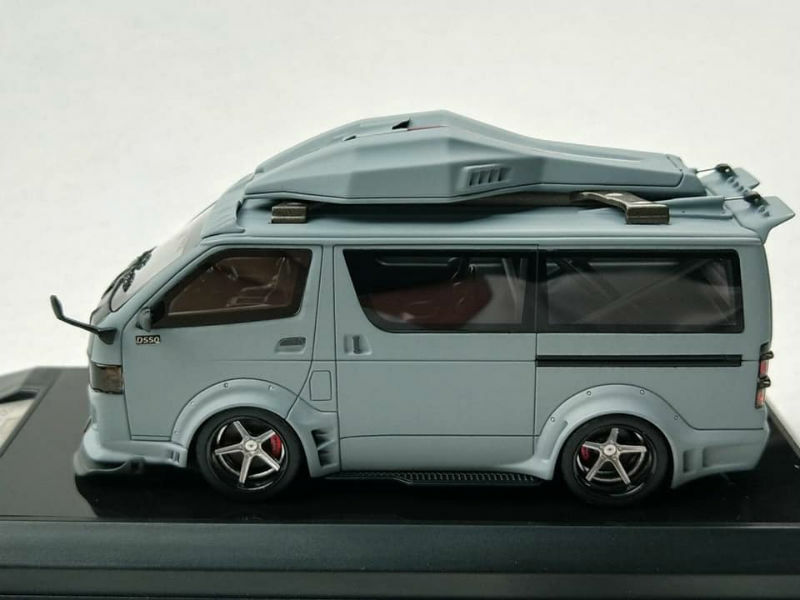 Seems modifying a people hauler to the limit is a popular trend out East. 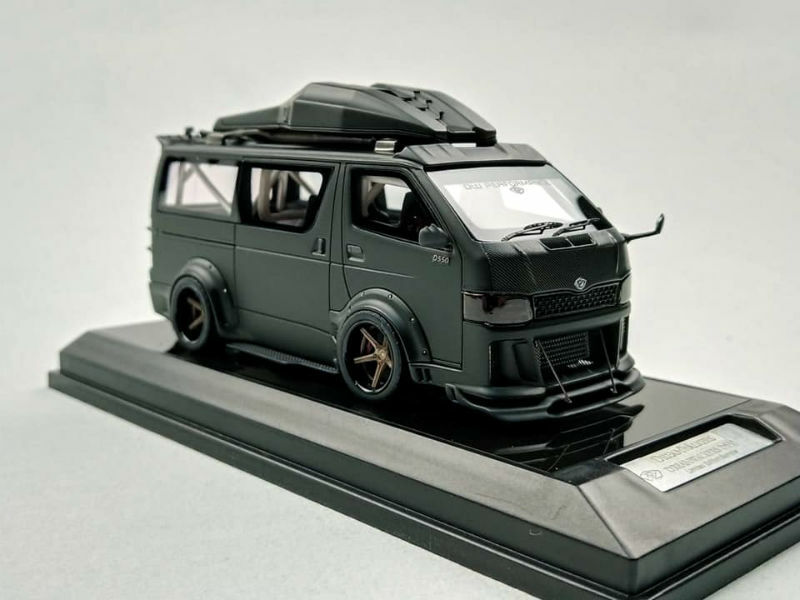 What is presented here is rather tame in comparison to other works we’ve seen. 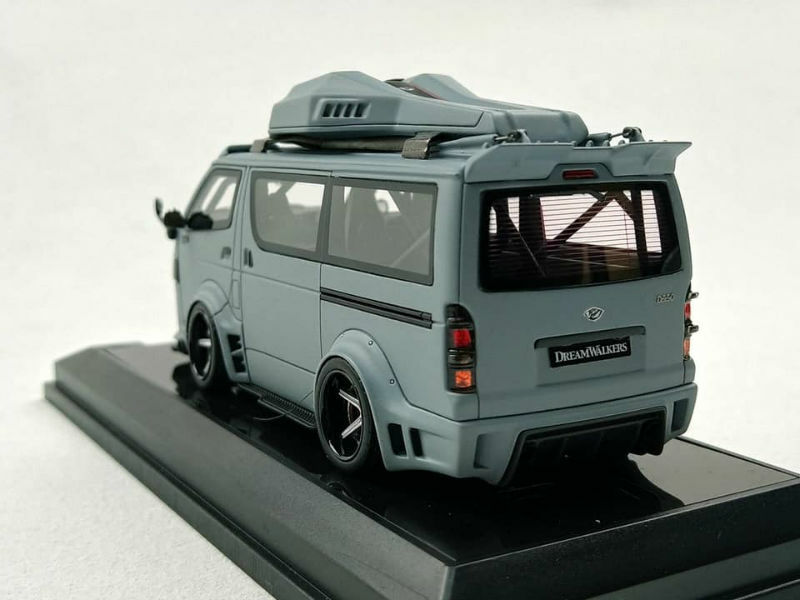 If interested, the following colours will be made available: Transparent Red, Navy Green, White, Army Green, Black and Athens Gray. 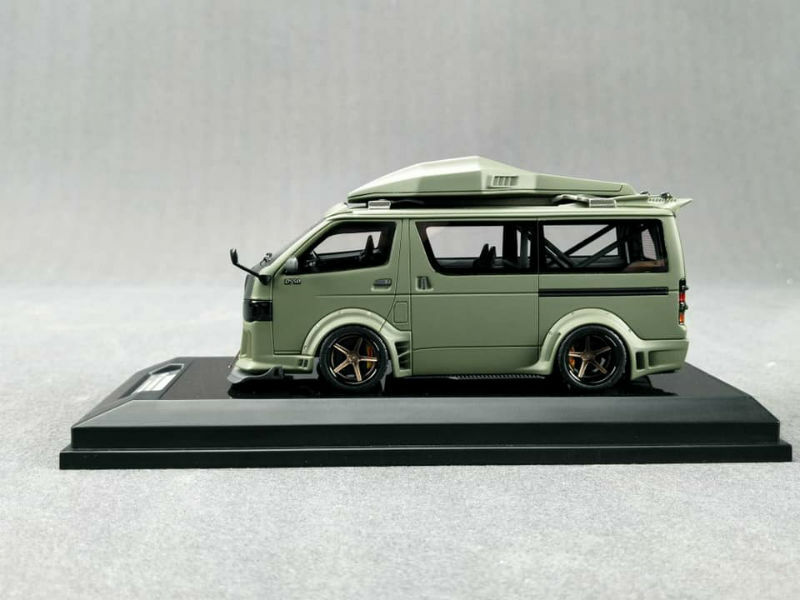 Each limited to 99 pieces worldwide and should start shipping in July 2019. 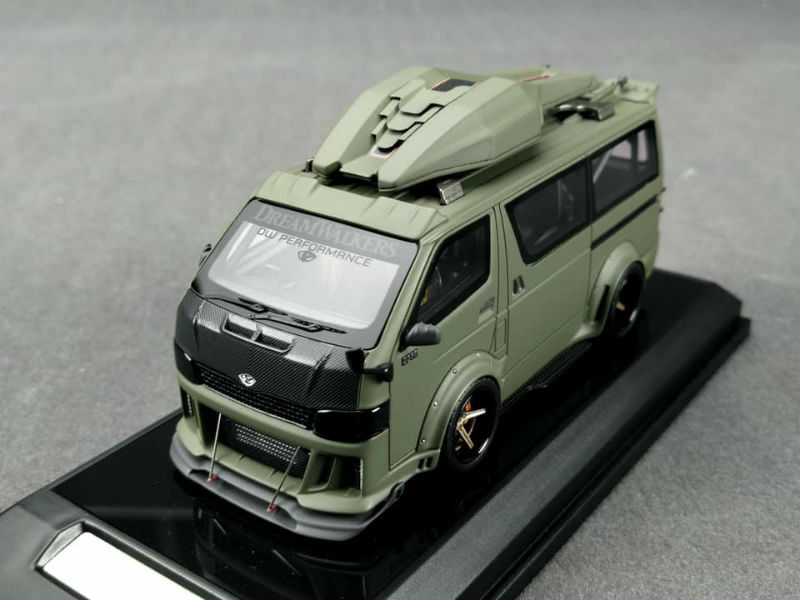 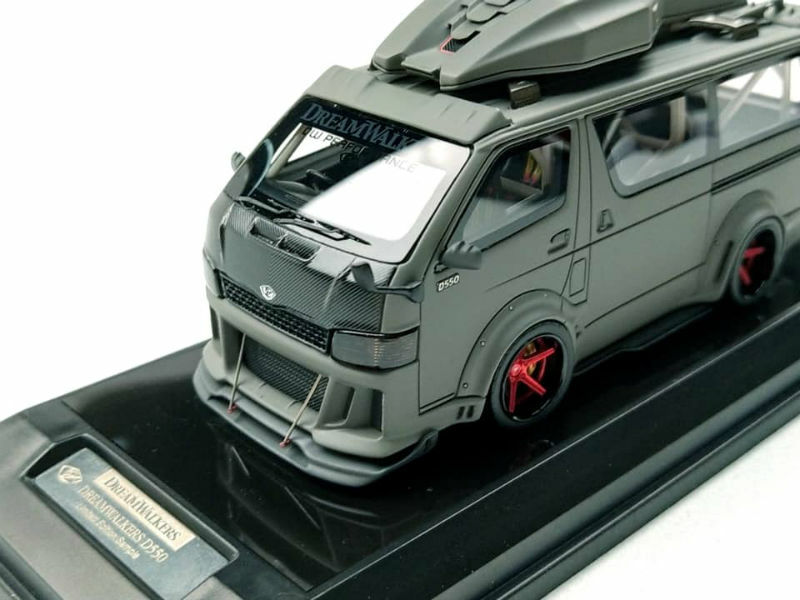 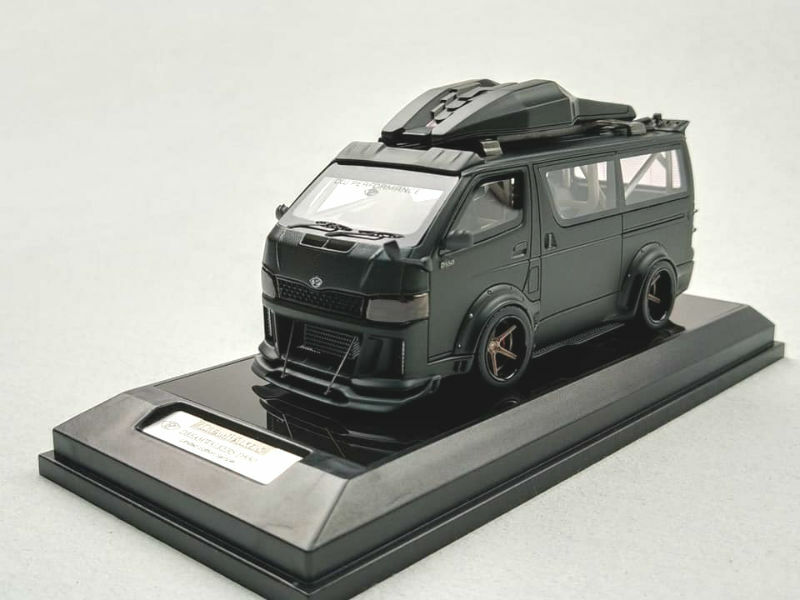 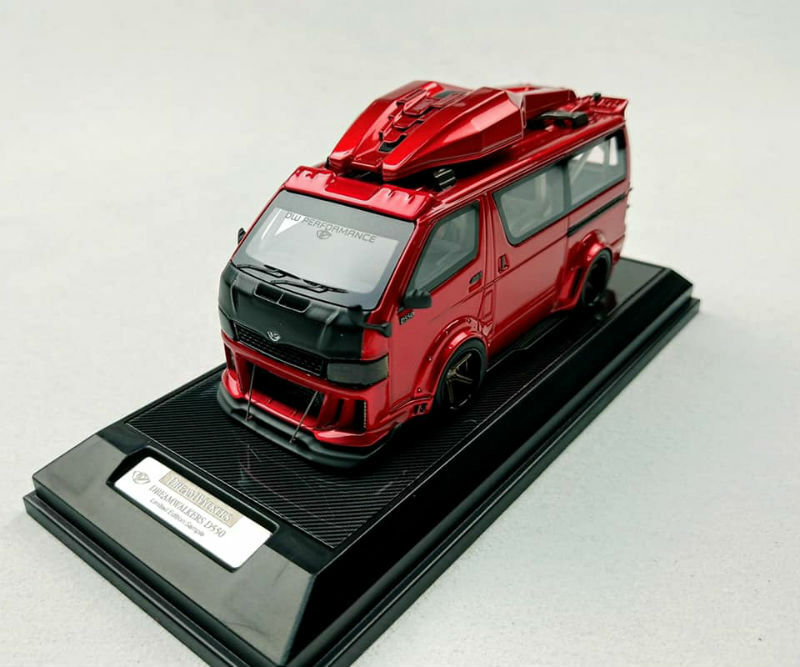 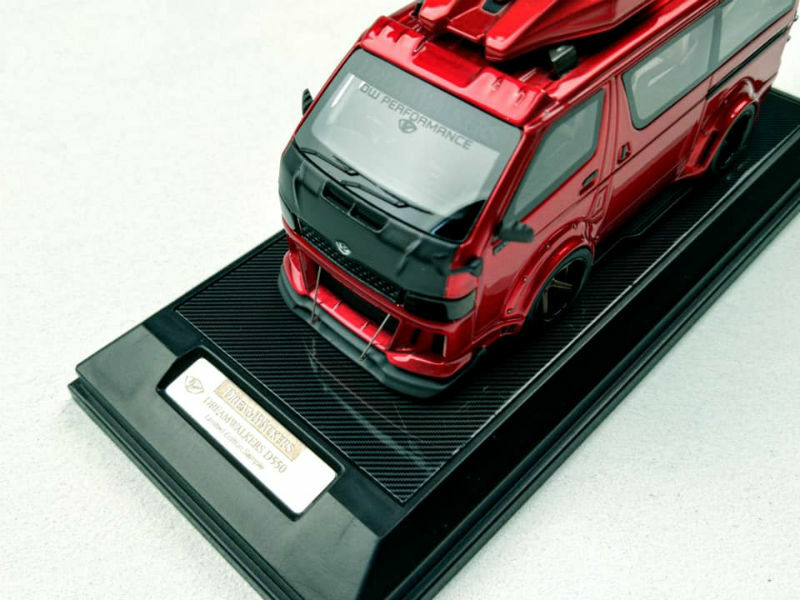 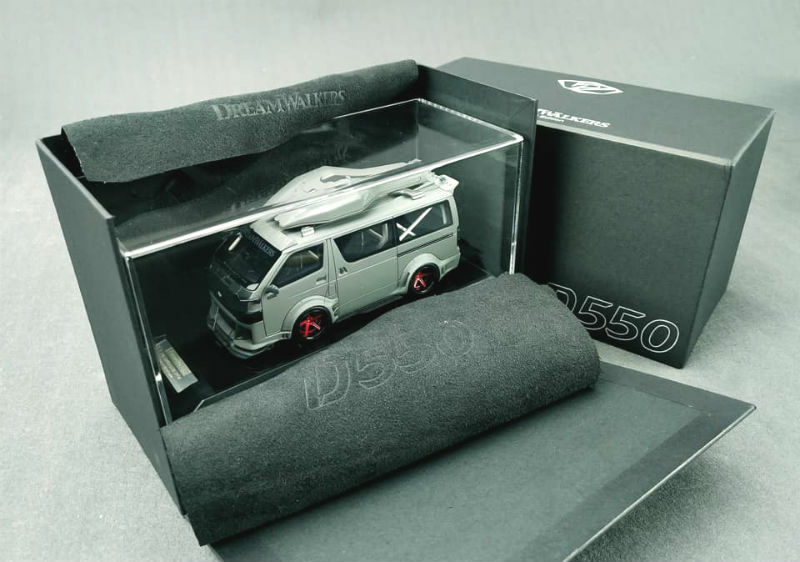 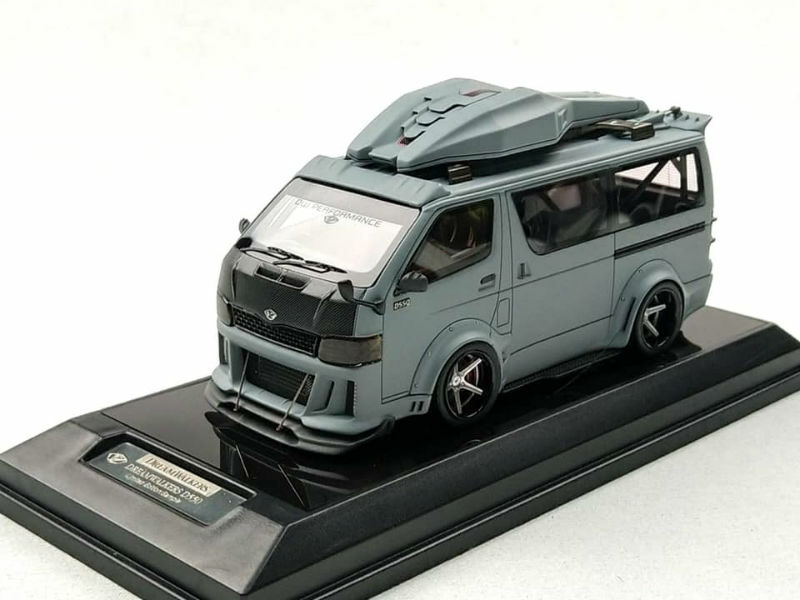 1 Response to "DreamWalkers Hiace D550 Concept Van"
Having just been to Tokyo, my tastes have been realigned a little bit haha, so these dont seem that weird and actually kinda cool, I cant get past the hideous predator style rooftop things (carrier?) 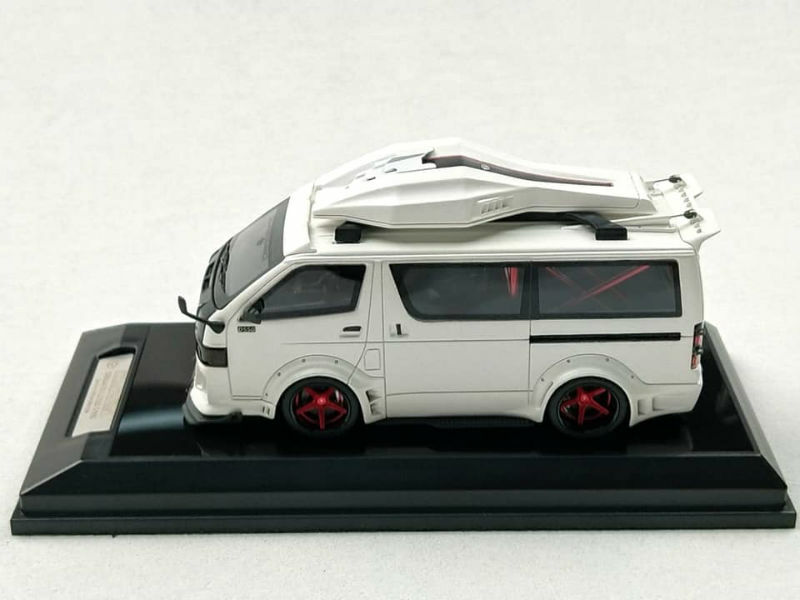 though.